It's mid-winter, but the sun is shining and I'm gettin' itchy for flowers! I can't hardly wait for the peach blossoms and apple orchards to explode with blooms. Until now, enjoy this pretty step by step photo montage from my friend Kaylan at K Robinson Photography. Hope this helps get you through the last of the coldest days. Start with your greens and foliage. 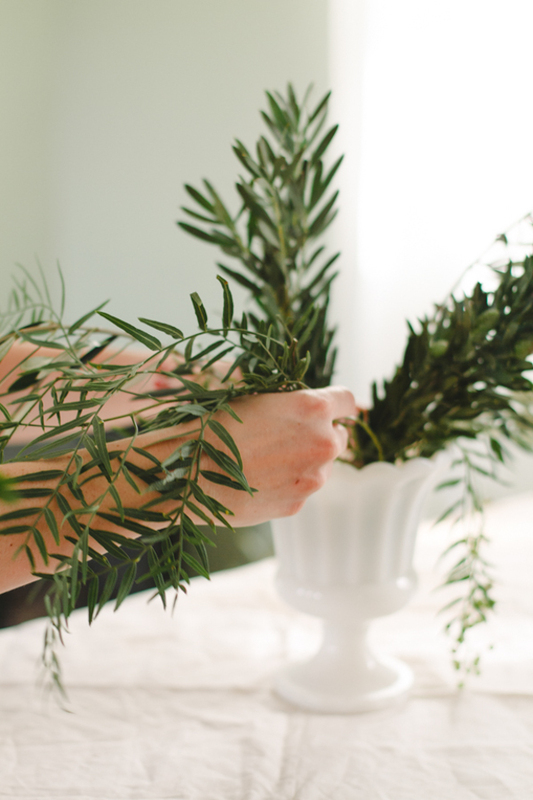 Use the natural shape of the branches to dictate where your arrangement flows. Staggering and layering different heights so create the skeleton of your piece. 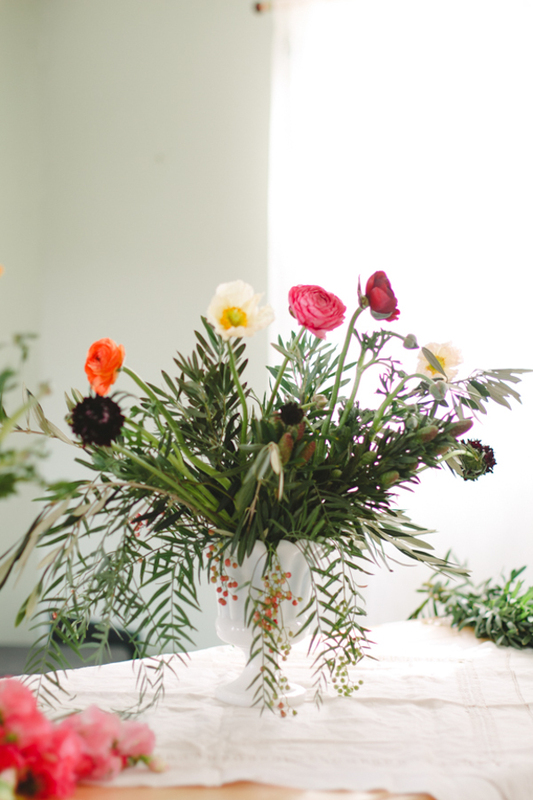 Find your largest blooms and insert them in the main focal areas and tallest places of your arrangement. 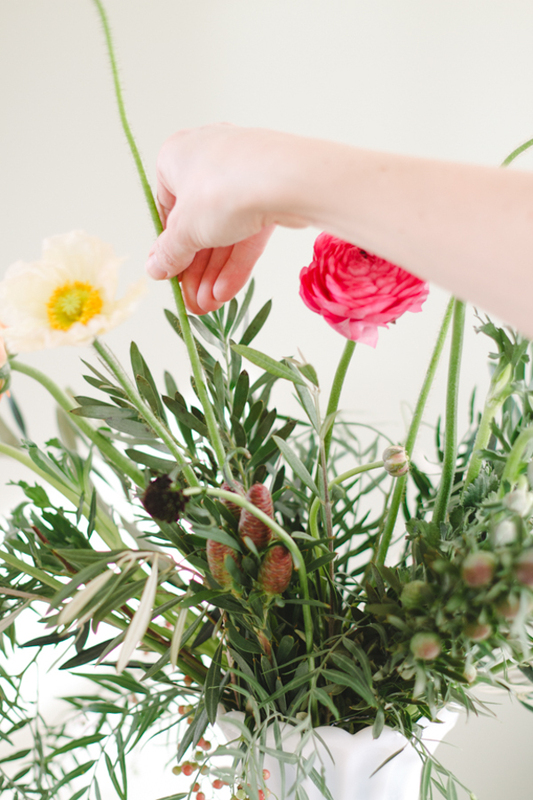 Finish off "holes" with the rest of your most showy flowers, berries or extra greens. And viola! Such a happy early spring centerpiece. 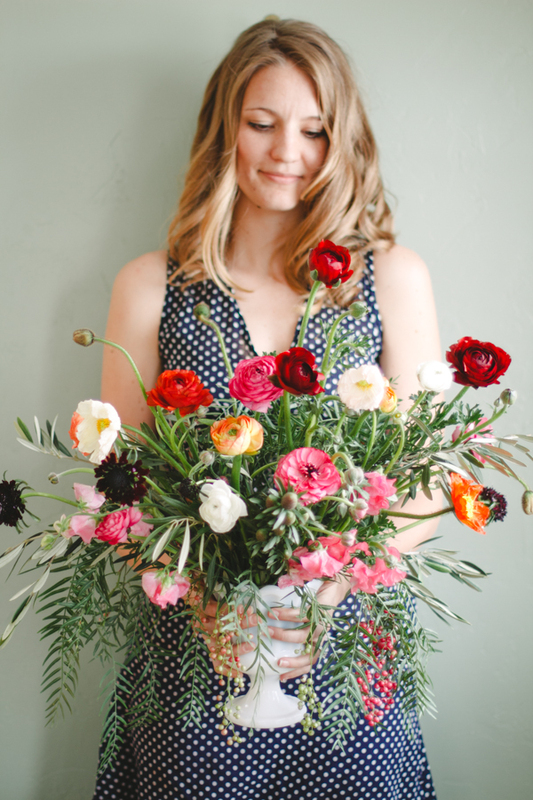 Add in a gorgeous girl in a handmade polka-dot dress from Soil, and it's gorgeousness all around.